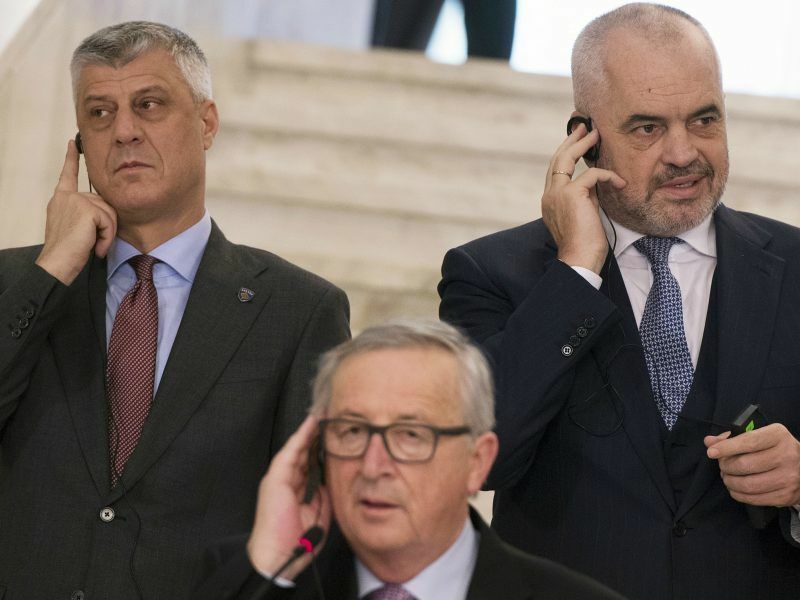 The EU executive proposed a ceiling of €1.3 trillion in its blueprint for the bloc’s next seven-year budget, known as the multi-annual financial framework, on Wednesday (2 May), equivalent to around 1.14% of its gross national income. That represents a compromise between the European Parliament’s demand to increase the EU expenditure to 1.3% of EU’s GNI to deal with new challenges such as migration or the digital revolution, and the Netherlands, Sweden, Denmark and Austria´s opposition to any increase. Germany, the largest contributor to the EU budget, has said it is willing to pay more. Despite the moderate increase, leaders of these countries rushed to bury the proposal, some even before it was unveiled. The European Commission unveils its proposal for the EU’s long-term budget for 2021-2027 today (2 May), setting the stage for a bruising and long negotiation with member states and parliament. 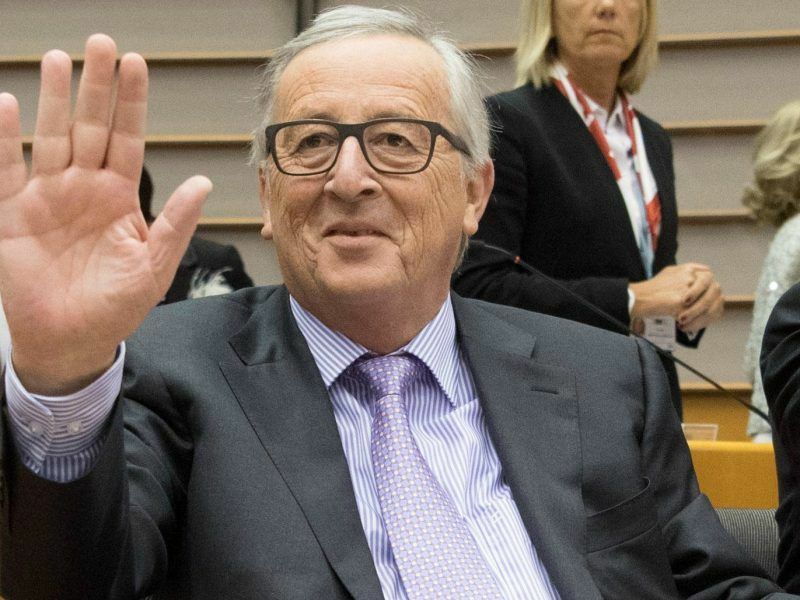 Presenting the draft document to the Parliament’s plenary, Commission President Jean-Claude Juncker said that it was “an ambitious but balanced budget, one that is fair for all”. “It is a realistic budget,” he stressed. “Any budget is important, but the current one is still more important than the previous one because it will decide the future of Europe at 27…and the legacy for a forthcoming generation,” he added. The next 2021-2027 budget will be the first after the UK’s departure from the bloc in March 2019. As a result, the Commission had to plug a funding gap left by London’s contributions of between €10 billion and €12 billion, while investing in new priorities. In order to square the circle, Budget Commissioner Günter Oettinger told MEPs that he would cut subsidies to farmers (Common Agricultural Policy) and funds for infrastructure projects (Cohesion). But he would also ask for more money from the national governments. In addition, the executive proposed new taxes and instruments to raise up to €22 billion (around 12% of the total expenditure) to reduce the dependence on member states’ contributions. 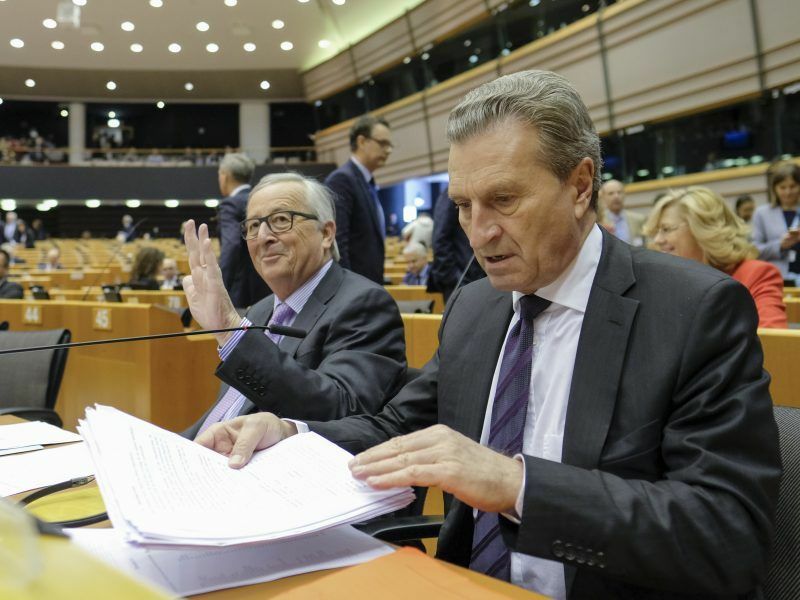 Oettinger commented that the proposal was “a good compromise” between the European Parliament’s “ambition” and the member states’ “preparedness to pay a bit more”. European Parliament president Antonio Tajani welcomed the promise of additional funds for Erasmus, small businesses and climate change. But he reiterated that the Parliament had asked for a budget of 1.3% of the Union’s GNI. “We will do our utmost to defend our position” in the upcoming negotiations. On the opposite side, heads of government headed to Twitter to attack the proposal. The proposal “is still far from an acceptable solution,” said Austrian Prime Minister Sebastian Kurz. “Our aim must be for the EU to become slimmer, more economical and more efficient after Brexit,” he added. “A smaller EU should mean a smaller budget!” wrote Danish prime minister Lars Løkke Rasmussen. Dutch Prime Minister Mark Rutte, meanwhile, said the proposal was “not an acceptable outcome” for his country. “A smaller EU means a smaller budget. That calls for spending cuts and ambitious modernisation. What’s more, the burden of funding the budget is not shared fairly,” he wrote on his Twitter account. Speaking to reporters after the plenary debate, Juncker described the prime ministers’ reaction as “normal”. “I know how things go, I am familiar with the process,” he said. Based on the Commission’s proposal, the member states will look to reach a unanimous position on their contributions to the EU budget and the distribution of funds. Once they reach an agreement, the national governments should reach a compromise with the Parliament. The Commission wants to have an agreement finalised by the European elections in May 2019. But officials both in the Parliament and in the Council admit that it would be ‘quite optimistic’ to expect that outcome. The last MFF took 29 months to be sealed. Optimism is a moral duty, especially when Commissioners and MEPs set their sights on brokering the EU’s long-term budget in record time. The Commission proposed commitment appropriations (money available) of almost €1.28 trillion for the seven-year period, a €192 billion increase compared to the previous long-term budget. Payment appropriations (the funds that are actually spent on EU policies) will be €1.24 trillion, more than €220 billion higher compared with the previous MFF. 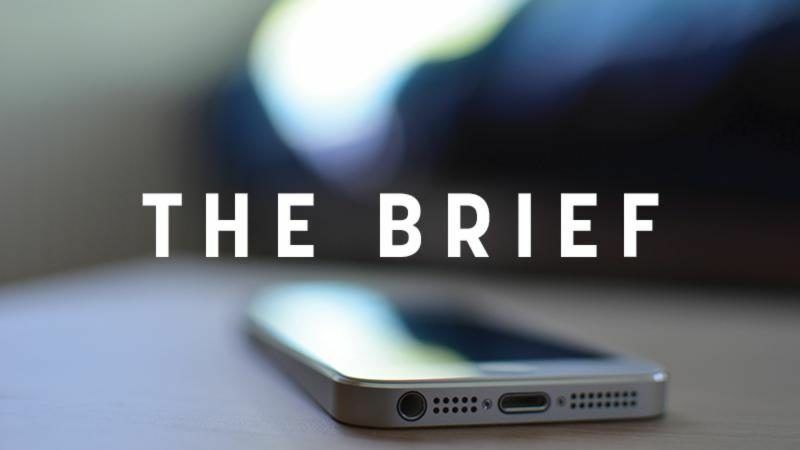 The development policy community is anxiously awaiting an overhaul of the EU’s development budget and the instruments used to spend it, when the European Commission publishes its communication on Wednesday (2 May) for the bloc’s next seven year budget. The cohesion envelope to finance large projects in the European regions suffered the biggest cut of 7% to €442.4 billion. 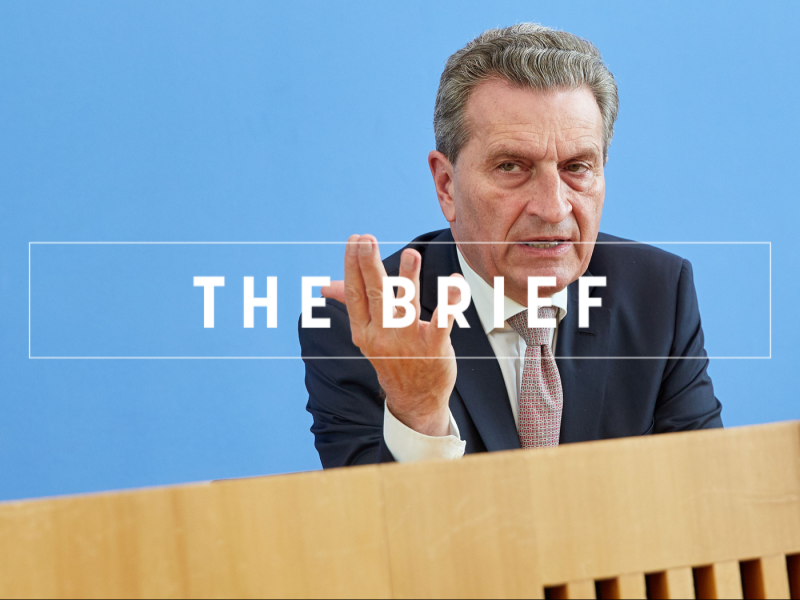 Despite the cuts to cohesion policy, Oettinger argued that the same amount of investment would be maintained for the remaining 27 member states, taking into account lower inflation. The Common Agricultural Policy, the other main pot, would decrease by 5% to €378.9 billion, including a 4% cut in direct payments to farmers. Oettinger told the MEPs than 5% represented an “acceptable” cut, considering that the EU was losing the UK, the second largest net contributor. “There is no massacre, neither for the cohesion nor for the CAP”, Juncker told reporters after the plenary debate. On the opposite side, the big winner is Erasmus + (€30 billion), which would double its funds. That will include €700 million to pay for Interrail passes for young Europeans. Innovation and Research expenditure will increase by 50%, with €100 billion for flagship programmes of the Horizon and Euratom. Europe’s environmental initiatives and the fight against climate change will be also substantially reinforced. 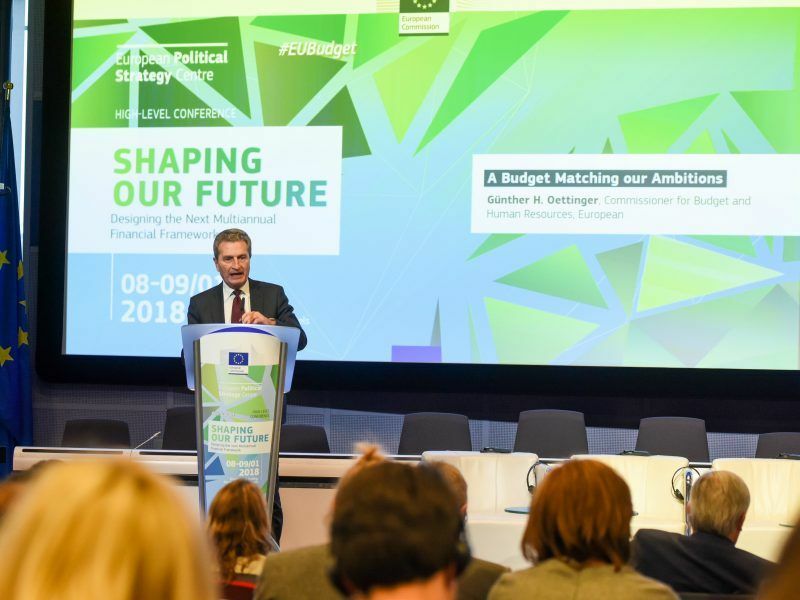 The clean energy transition and other initiatives to decarbonise Europe’s economy will represent 25% of EU spending under a seven-year EU budget plan put forward by the European Commission on Wednesday (2 May). Security (with a 40% increase to €4.8 billion) will be also bolstered and a new Defence Fund of €13 billion will be set up. Against the backdrop of the growing importance of the migration issue among European voters over the past years, the Commission also wants to bolster resources for Frontex, the EU’s border service. As a result, its personnel would grow from the current 1.200 staff to 10.000 border guards and officials at the end of the period. The Commission has proposed to gradually eliminate national rebates after Brexit. Instead of eliminating the paybacks for the Netherlands, Sweden, Austria and Denmark immediately after Brexit, the institution suggested phasing out them over the next five years. “I think it can be acceptable by all involved,” Oettinger said. But the small concession would hardly help to weaken these countries’ opposition to the draft budget. Meanwhile, responding to one of the main demands voiced by the Parliament, the EU executive proposed to increase the Union’s ‘own resources’ with new taxes and instruments. 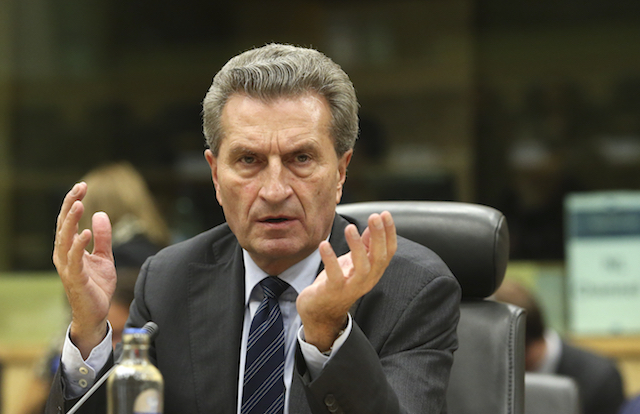 The national contributions, based on their GNI, “should not be 70% or more,” said Oettinger. EXCLUSIVE / EU Budget Commissioner Günter Oettinger has told EURACTIV.com that the €60 billion bill floated as the price of Brexit is “not totally wrong”, just days before Britain triggers Article 50, the legal process to leave the bloc. The new sources to finance the EU budget include 20% of the revenues of the Emission Trading System; a 3% call rate applied to the new Common Consolidated Corporate Tax Base (once the CCCTB proposal has been adopted); and a national contribution based on the amount of non-recycled plastic packaging waste in each member state (€0.80 per kilo). These would represent 12% of the total EU budget (around €22bn). Responding to MEPs’ demands to factor in a tax on the big digital firms, such as Google or Facebook, Oettinger argued that it was not “mature” enough to be taken into account in the budget. “Accuracy is important”, he said. 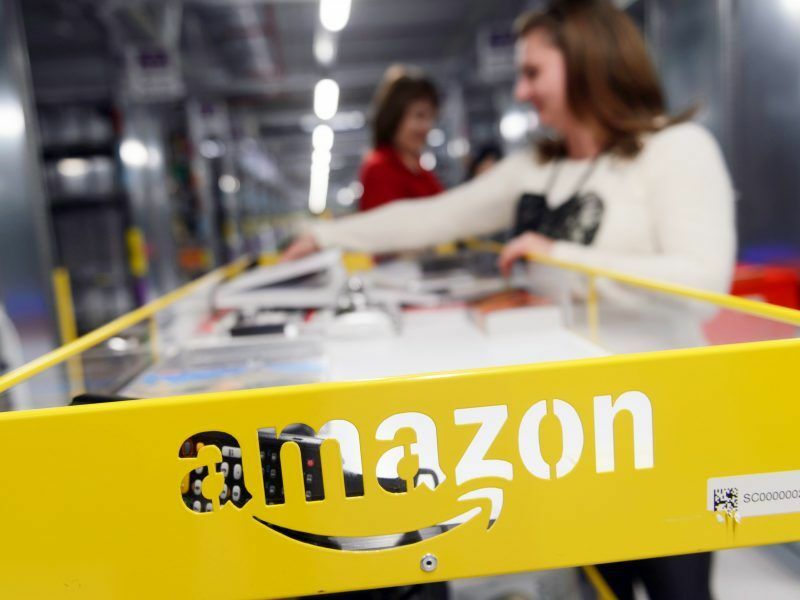 French President Emmanuel Macron’s ambitious plans for an EU digital tax targeting US tech giants such as Google or Facebook faced strong headwinds on Saturday (28 April), provoking anger from Paris. The new resources are only one of the novelties that the Commission introduced. One of the biggest changes was the reduction of budgetary lines from 58 to 37 in an effort to have more flexibility in managing the expenditure. The executive also proposed two new instruments to bolster the resilience of its economic and monetary union’s resilience, as part of the debate to deepen the currency union with new fiscal instruments championed by French President Emmanuel Macron. A total of €25 billion will be allocated to support reforms in member states. Part of the money will be specifically dedicated to non-eurozone countries to sustain their progress toward joining the common currency. Besides, a new European Investment Stabilisation Function will maintain investment in countries hit by a sudden economic shock. The new instrument will offer back-to-back loans under the EU budget up to €30 billion, plus financial assistance to the member state affected to cover the costs of the interests of the loan. But the Commission will also attach more conditions in order to access EU money. The Commission could suspend transfers if member states’ judges and authorities cannot guarantee “sound financial management” of the resources. The institution argues that the rule of law is “an essential precondition” to ensure proper management of the EU funds. This proposal responds to the ongoing disputes with Poland and Hungary over the rule of law. 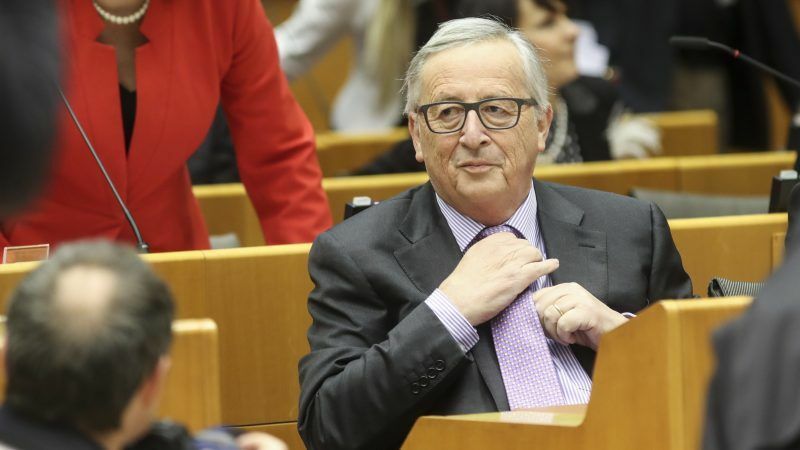 Juncker insisted that the new conditionality does not target any other particular country. “I clearly said that it applies to all member states, it is not a Polish question”, he said. Do you need a private loan to finance your business or for personal use?? We give out loan’s with 2% Interest rate, from €3,000.00 to €10,000.000.00 duration 1 year to 20 years..if you are interested contact us at (microfinanceinstitutions01@gmail.com) for more details.